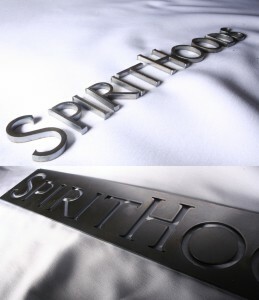 Spirit Hoods asked us to create some laser cut steel signs for them. Here are a few pictures of the signs that were cut in 1/8 inch thick common steel. If your project needs laser cutting let us know, we’d be happy to assist you!